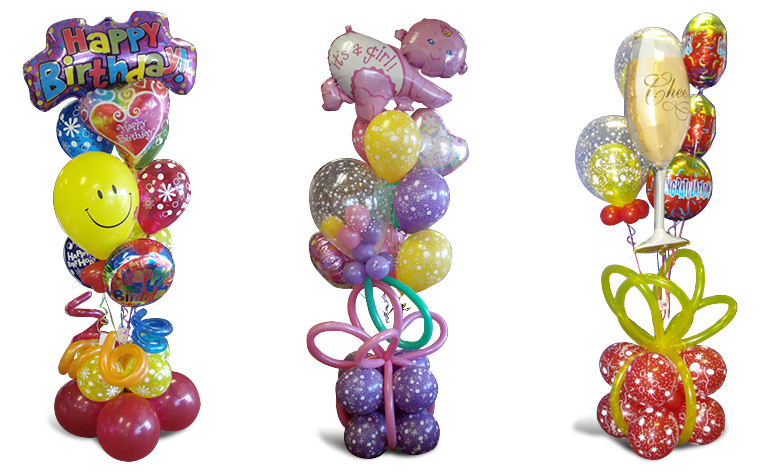 Our most popular delivery always gets the same reaction: “WOW!” We top this extravagant arrangement with a large 3ft. 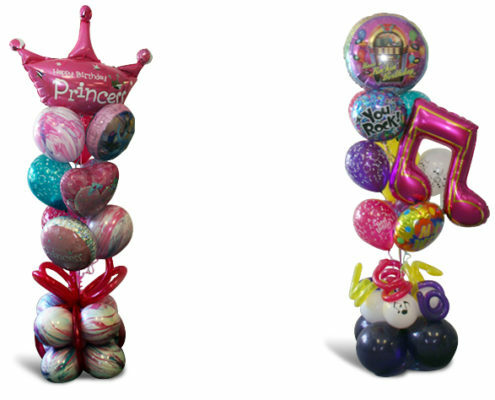 foil balloon imprinted with a special message, then add six 11-inch occasion-specific balloons (Happy birthday, Get Well, etc). 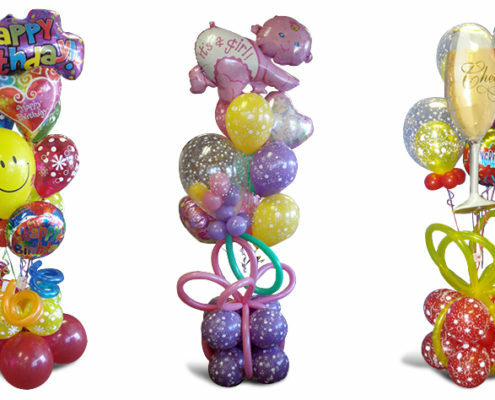 When everything is perfectly arranged, we attach the bursting bouquet to a fun air-filled balloon base, accented with long curly balloons. The entire bouquet stands at an impressive 8ft. 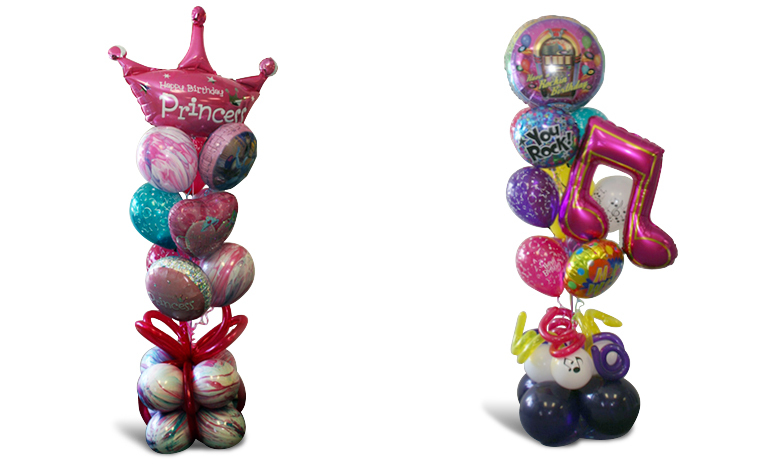 tall and stays inflated throughout the entire week. Wow! Add chocolate kisses or a stuffed animal for a few dollars more.